Serena Stevenson, Turumakina Duley and Ashley Duley 2004. Digital print, courtesy of the artist. A fitting sentiment in a space where the walls are currently adorned with powerful images of Maori men and women, many staring – almost defiantly – into the lens, faces marked with intricate patterns that tell of legacy, prestige, and a culture that despite a colonial past, has refused to be subjugated. 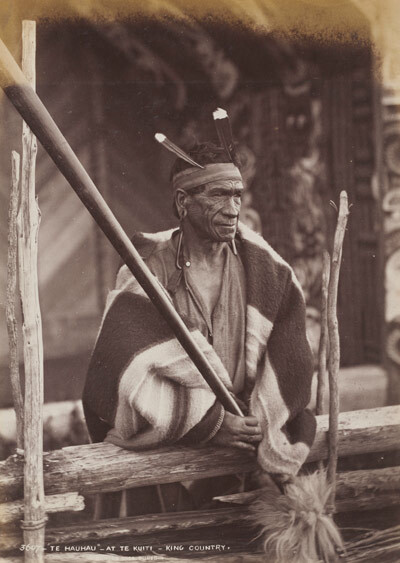 George Wesley Bishop, Maori rangatira (possible Te Iriaha) 1860s Carte de visite Michael Graham-Stewart collection, Auckland. A new exhibition, Maori Markings: Ta Moko, officially opened at the National Gallery of Australia on Saturday (23rd March) and will run until 25 August 2019. The exhibition, a first in Australia, looks at the history of the Maori art of Ta Moko – or skin marking. 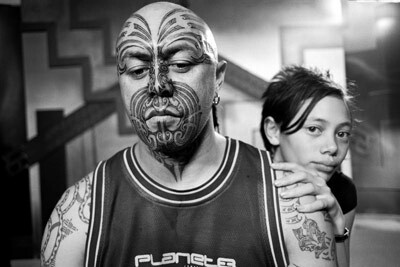 The everyday observer might mistake it for tattooing, but ta moko is a far deeper cultural expression of identity, unique to Aotearoa New Zealand. The exhibition, carefully curated by the Gallery’s Pacific Arts curator Crispin Howarth, chronicles the history of this old art form, from its origins to its suppression in the nineteenth century, to its resurgence in the late 1980s and early 1990s. 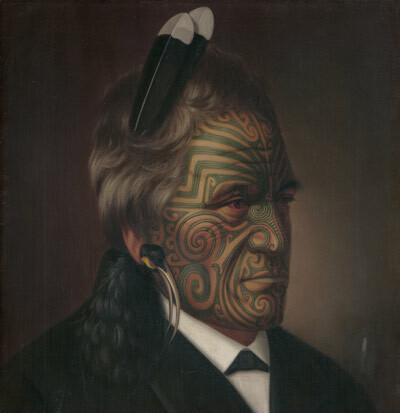 “Visitors will have the chance to discover some of the first illustrations of Maori people made during Captain Cook’s voyages, representations of 19th-century Maori travellers – Hongi Hika and Te Pehi Kupe, as well as portraits of signatories to the Treaty of Waitangi,” Mr Howarth said. Alfred Burton, Te Hau Hau, at Te K?iti, King Country 1885. Albumen silver photograph National Gallery of Australia, Canberra Purchased 2006. A person’s moko tells of his or her identity informed by their genealogy – or whakapapa. The markings were originally done using a uhi, a chisel-like object that instead of pricking the skin like a tattoo gun would, cut into it, forming grooves. The process has evolved since then with the advent of modern instruments but it’s cultural and spiritual significance remains. For example, the exhibition tells the story of a moko recipient who, when making her desire to wear one clear, was asked by the moko artist why she was keen on receiving it in the first place. 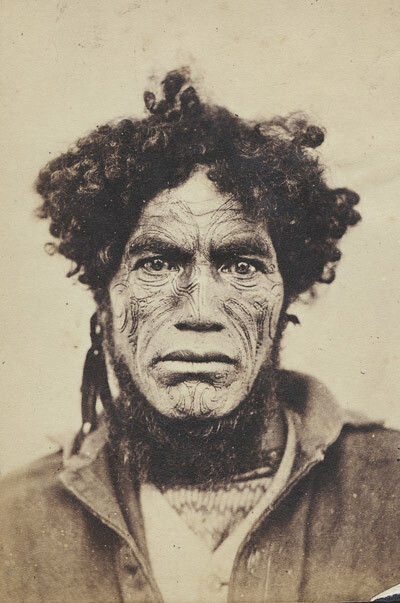 Thus begins a process of consultation that explores the person’s whakapapa and recognising one’s character, in order to design a moko that is unique to them. Each line has significance; each stroke purposeful, so that the final product goes far beyond a mere design on the skin to tell a story that embodies the moko wearer’s past, present, and future. Gottfried Lindauer, Tomika Te Mutu, chief of the Ngai Te Rangi tribe, Bay of Plenty 1880 Oil on canvas. National Library of Australia, Canberra Rex Nan Kivell Collection. “An exhibition celebrating Maori art and culture is long overdue in Australia with an estimated one-fifth of today’s Maori population living here. In the International Year of Indigenous Languages, this exhibition invites visitors to learn more about the First Nations cultures of our region,” Gallery director Nick Mitzevich said. Maori Markings: Ta Moko is a one-of-a-kind, powerful exhibition and a poignant reminder of how cultural diversity and the legacy it carries only contributes to a stronger and richer society – one that can withstand any assault by an ignorant few who seek to prove otherwise. Maori Markings: Ta Moko is a free exhibition. For more details, visit the website. Canberra’s nightlife gets a culture kick!